Tesla has no electric vehicle “moat” of any kind; i.e., nothing meaningfully proprietary in terms of design or technology, while existing automakers-unlike Tesla-have a decades-long “experience moat” of knowing how to mass-produce, distribute and service high-quality cars consistently and profitably. Tesla is now a “busted growth story”; demand for its existing models has peaked and it will have to raise billions of dollars to produce new ones. Elon Musk is extremely untrustworthy. In mid-March, seemingly in response to its sliding stock price (which may have been approaching Elon Musk’s margin call territory), Tesla rushed out an ill-prepared Model Y unveiling on extremely short notice, inspiring its chief engineer to immediately quit. Supposed to be a small electric SUV/crossover, the event showed only a fake clay model and a bodywork-disguised Model 3, and was a complete embarrassment beautifully summarized here by Zero Hedge. By the time the Model Y is available in late 2020/early 2021 (if Tesla is still in business then), it will face superior competition from the much nicer Audi Q4 e-tron, BMW iX3, and Mercedes EQC. Tesla’s backlog is now gone and new orders severely lag, and in response this month it finally introduced a $35,000 version of the Model 3. Despite the fact that this car has just 220 miles of range and comes only in black with a cheap cloth interior, I estimate it will have an EBIT loss of at least $3000 before options, which is undoubtedly why Tesla is delaying its arrival despite taking deposits for it. Tesla also introduced a 240-mile version for $37,500; that one may “only” lose around $1500 but is less likely to be “optioned up,” as it has power seats and a nicer interior (although the only standard color remains black). In yet another example of typical Tesla “wise-guy scamminess,” the Q1 2019 GAAP loss may not be anywhere near as bad as it should be, as there’s a real chance that Tesla may use its sudden redefinition of “Full Self-Driving” (which, according to Tesla but NOT the customers who paid for that feature, now means nothing of the sort) in order to recognize hundreds of millions of dollars of deferred revenue to which it’s nowhere *near* entitled. See this excellent Twitter thread. What else did this alleged “growth company” do in March? Well, after initially announcing (in a spur-of-the-moment cost-saving measure) that it was closing 90% of its retail stores, Tesla soon backtracked and decided to close “only” around half of them, most likely when someone informed Musk – who is truly a business moron – that the company was on the hook for all those leases anyway. Musk’s public persona of impetuous stupidity as exemplified by his Twitter account undoubtedly provides an illuminating window into his private persona. Tesla has the most executive departures I’ve ever seen from any company (here’s the astounding full list), a dubious achievement that continued in March when in addition to the aforementioned departure of its chief engineer, still more folks departed from its already gutted finance department, as well as multiple other departments. This followed February’s departure of its general counsel after fewer than two months on the job, which followed January’s departure of its CFO, which followed the departures of a massive number of financial, manufacturing and engineering execs in 2018 and 2017. These people aren’t leaving because things are going great (or even passably) at Tesla; rather, they’re likely leaving because Musk is either an outright crook or the world’s biggest jerk to work for (or both). 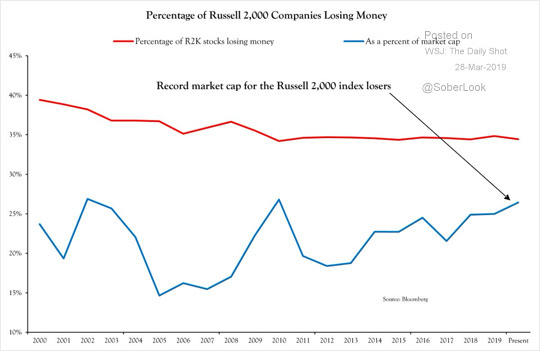 Could the business (if not the stock price) be saved in its present form if he left? Nope, it’s too late. Even if Musk steps down in favor of someone who knows what he’s doing, emerging competitive factors (outlined in great detail below) and Tesla’s balance sheet make the company too late to “fix” without major financial and operational restructuring. Also in March, Navigant Consulting came out with its annual ranking of autonomous driving capabilities, and just as last year Tesla ranked dead last among active automakers and suppliers. Meanwhile, the number of lawsuits of all types against Tesla continues to escalate – there are now over 500! Consumer Reports’ awful Tesla reliability data jibes with the latest survey from True Delta, which ranks Tesla last among all available vehicles, while in September, British magazine What Car? ranked Tesla reliability so low that it’s in “a league” of its own. But what about all those Tesla owners who tell you how much they love their cars despite the service and reliability problems? Porsche’s offerings are just part of an onslaught of luxury EV competition that’s about to rip the face off sales of Tesla’s most profitable models, the S&X. The Audi (OTCPK:AUDVF) e-tron and Jaguar I-Pace (see below) are already crushing S&X sales in the European countries where they’re available, and the Audi arrives here in the U.S. in April. The e-tron is an all-electric SUV with a much nicer interior (and better build quality!) than any Tesla and a price that’s around $15,000 lower than the Model X before the Audi’s (initial) $3,750 to (eventual) $7,500 U.S. tax credit advantage. (Although the Audi’s range is expected to come in at around 225 miles vs. 295 miles for the Model X, the Audi will charge faster.) The e-tron received solid reviews (here, here, here and here), and three more electric Audis will follow it: the Sportback in late-2019 and, in 2020, the spectacular e-tron GT that recently debuted at the L.A. Auto show, as well as (in late 2020) the Q4 e-tron small electric crossover. Also currently in showrooms is the Jaguar I-Pace (which received fabulous reviews, handily beating Tesla in comparison test after comparison test) and costing $20,000 less than the Model X and $15,000 less than the Model S, price gaps that widen by an additional $3,750 with Jaguar’s current U.S. tax credit advantage and escalate to $7,500 in January 2020. I’ve driven the Jaguar and can assure you that no objective person will say it isn’t much nicer than any Tesla. The Mercedes EQC (OTCPK:DDAIF) (OTCPK:DMLRY) all-electric SUV will be widely available in Europe in the summer of 2019 and in the U.S. in early 2020, with an EPA range of around 225 miles and a price that will be nearly $30,000 (!) less than the Model X before the Mercedes’ (by then) $7500 U.S. tax credit advantage. And by 2022 Mercedes will have ten fully electric models, covering nearly all its model lines. And let’s not count out BMW (OTCPK:BMWYY); here’s a fascinating interview with its head EV powertrain engineer and a preview of its upcoming 2021 i4 and iX3. Less expensive and available now are the excellent new all-electric Hyundai Kona (OTCPK:HYMLF) (OTCPK:HYMTF) and Kia Nero, extremely well reviewed small crossovers with an EPA range of 258 miles for the Hyundai and 238 miles for the Kia, at prices of under $30,000 inclusive of the $7,500 U.S. tax credit. I expect these cars to have an immediate and negative impact on sales of Tesla’s Model 3 and a future negative impact on Tesla’s Model Y (assuming, of course, the latter makes it to market before Tesla declares bankruptcy). Tritium’s First 350-kW DC Fast Chargers Coming To U.S.
Porsche plans network of 500 fast chargers for U.S. Yet, despite all that deep-pocketed competition, perhaps you want to buy shares of Tesla because you believe in its management team. Really??? Who You Gonna Believe? Elon Musk’s Words Or Your Own Lying Eyes? When Is Enough Enough With Elon Musk? Can You Really Trust Tesla? …and over 75% (!) of the country’s ETFs by market value. 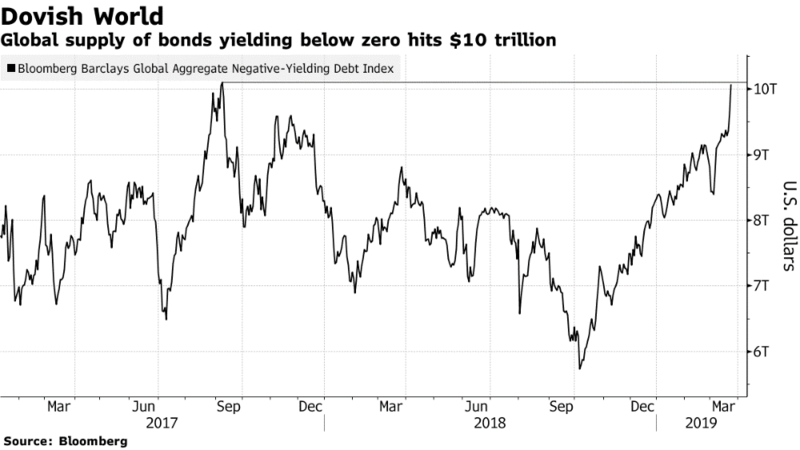 Just the interest on Japan’s debt consumes 8.9% of its 2019 budget despite the fact that it pays a blended rate of less than 1%. What happens when Japan gets the 2% inflation it’s looking for and those rates average, say, 3%? 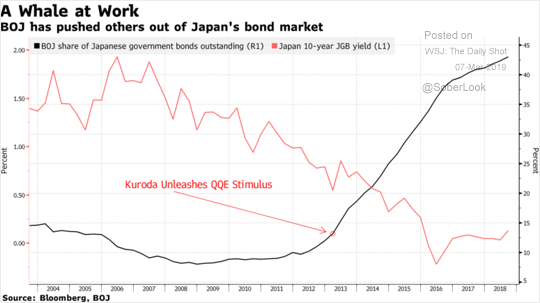 Interest on the debt alone would consume nearly 27% of the budget and Japan would have to default! But on the way to that 3% rate the BOJ will try to cap those rates by printing increasingly larger amounts of money to buy more of that debt, thereby sending the yen into its death spiral. When we first entered this position, USD/JPY was around 79; it’s currently in the 110s, and long term, I think it’s headed a lot higher – ultimately back to the 250s of the 1980s or perhaps even the 300s of the ’70s before a default and reset occur. We continue to own Westell Technologies Inc. (NASDAQ:WSTL), a 43% gross margin telecom equipment maker (of primarily small-cell repeaters) in turnaround mode. In February, Westell reported a mediocre FY 2019 third quarter, with revenue down 22% year-over-year but up 6% sequentially, and although it burned around $970,000 in free cash flow, it ended the quarter with $27.1 million in cash ($1.75/share) and no debt, and on the follow-up conference call, management explicitly indicated that it expects to return to break-even or better within a year. 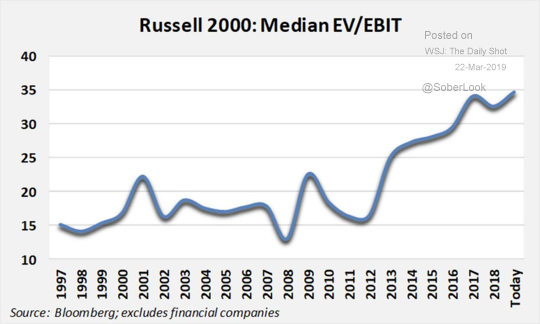 Westell sells at an enterprise value of only around 0.10x (i.e. 10% of) revenue, but in addition to the (hopefully soon-to-reverse) cash burn, the “hair” on this company is the long-term decline in revenue (which now appears to have stabilized and should soon reverse), a cash pile that could potentially be squandered on dumb acquisitions (a risk with all cash-rich companies) and – perhaps most annoyingly – a dual share class, with voting control held by descendants of the founder. However, on the conference call, management claimed the controlling family is open to merging the two share classes, and Westell is so cheap on an EV-to-revenue basis that if management can’t start generating meaningful profits, it seems primed for a strategic buyer to acquire it. An acquisition price of 1x run-rate revenue (on an EV basis) would be around $4.50/share. We continue to own Aviat Networks, Inc. (NASDAQ:AVNW), a designer and manufacturer of point-to-point microwave systems for telecom companies, which in February reported a decent Q2 for FY 2019, with revenue up 2% year-over-year (adjusted for a GAAP-mandated change in revenue recognition to ASC 606; unadjusted revenue was up 5.5%). For FY 2019, the company guided to $250-$255 million of revenue and non-GAAP EBITDA of $12.5-$13 million, and because of its approximately $330 million of U.S. NOLs, $10 million of U.S. tax credit carryforwards, $214 million in foreign NOLs and $2 million of foreign tax credit carryforwards, Aviat’s income will be tax-free for many years; thus, GAAP EBITDA less capex essentially equals “earnings.” So if the non-GAAP number will be $12.5 million and we take out $1.7 million in stock comp and $6 million in capex, we get $4.8 million in earnings multiplied by, say, 16 = approximately $77 million; if we then add in at least $30 million of expected year-end net cash and divide by 5.4 million shares, we get an earning-based valuation of around $20/share. However, the real play here is as a buyout candidate; Aviat’s closest pure-play competitor, Ceragon (NASDAQ:CRNT) sells at an EV of approximately 0.7x revenue, which for AVNW (based on the mid-point of 2019 guidance) would be around $207 million. If we value Aviat’s massive NOLs at a modest $10 million (due to change-in-control diminution in their value), the company would be worth $217 million divided by 5.4 million shares = $40/share. We continue to own the Invesco DB Agriculture ETF (NYSEARCA:DBA), which I first bought in late 2017 because agricultural products were the most beaten-down sector I could find that wasn’t a “buggy whip” (something on the way to obsolescence) or cyclical from a demand standpoint. The “DBIQ Diversified Agriculture Index” on which DBA is based is at its lowest level since 2002, and I continue to anticipate a major bounce following a favorable outcome from U.S.-China trade talks. Trump is very conscious of the fact that farm states constitute a significant part of his political base and the China deal implications for U.S. ag products would be huge. Meanwhile, extensive midwestern U.S. flooding (a real tragedy for those affected) put a bit of a tailwind behind this ETF in mid-March (although it subsequently surrendered some of those gains).